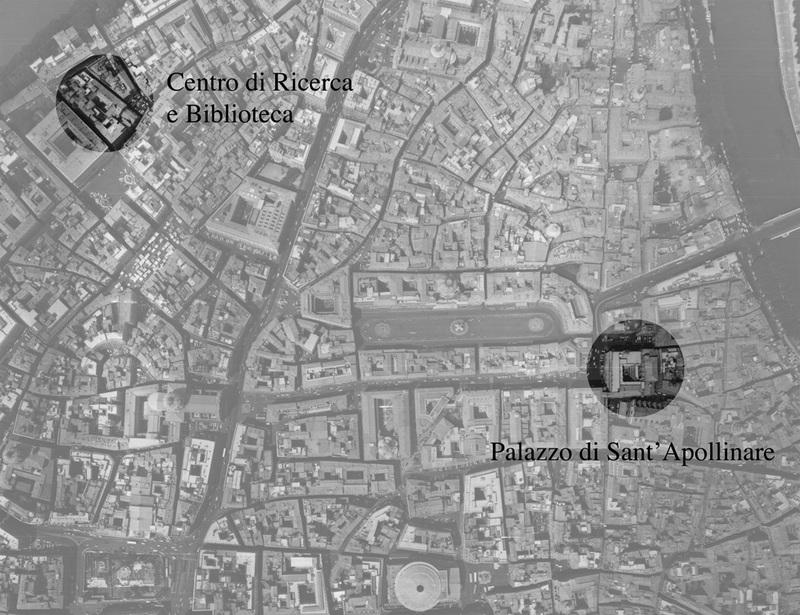 The main office is found adjacent to Piazza Navona, a few steps from the Senate building and the Pantheon, within the ancient Palazzo of Apollinare. The Research Center, along with the professors' offices and the Library, are situated in the complex of buildings between Via dei Farnesi and Via di San Girolamo della Carità, in the Regola (Rule) District. The television and radio studios used by the School of Communications are found in the same location.